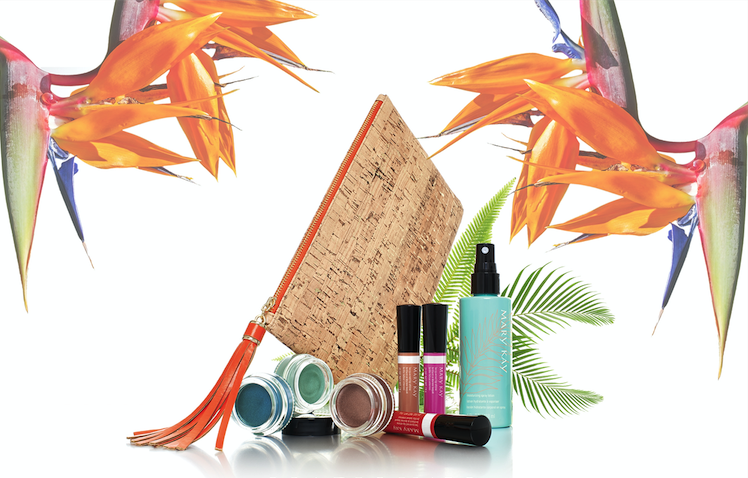 Escape to paradise with Mary Kay‘s new Paradise Calling collection. Delight the senses with the addictive coconut-scented Moisturising Spray Lotion, which refreshes the face and keeps your skin looking gorgeous and dewy. Bring the tropics to the city and slick on Lacquered Lip Shine in Tropical Mandarin, Sun Baked, or Exotic Orchid. These glosses provide rich pigmentation to last you from morning smoothie to evening cocktail. A sheer swipe of soft, creamy Whipped Eye Colour (available in Sea Foam, Lagoon and Tiki Hut) will add the final touch of paradise. Summer beauty has never looked this good! Introducing the microdelivery overnight peel, the latest anti-ageing innovation from philosophy. This two-step, leave-on anti-ageing peel has been developed by philosophy skin labs – the recognised peel experts – to improve key signs of visible skin ageing. The peel targets wrinkles, loss of firmness and enlarged pores, combining the micro-exfoliation of a peel with the restorative benefits of an overnight sleep mask. This process is gentler and eliminates the irritation sometimes caused by peels. Step 1 involves an alpha/beta hydroxy acid leave-on peel solution, which encourages skin micro-exfoliation and creates a pathway for the skin to fully recive the benefits of the second process. Step 2 delivers youth-extending night gel to the deeper layers of the skin. This innoative memory gel is strenghtened with natural echinachea, anti-ageing peptides, oat extract and bisabolo to deeply hydrate and comfort the skin. 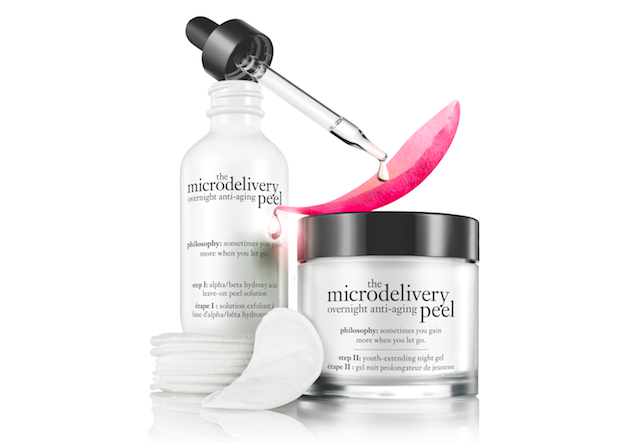 The philosophy microdelivery overnight peel is available for purchase now. 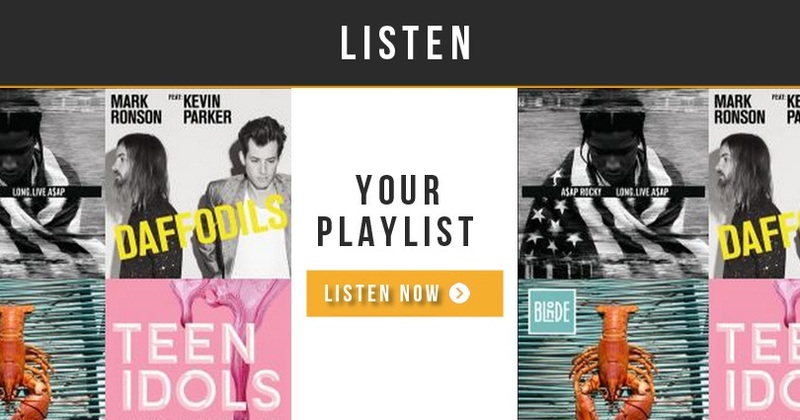 To locate your nearest stockist, please call 1800 812 663. Don’t just blow-dry.. Glow Dry! REDKEN introduces Diamond Oil Glow Dry, an ultra-lightweight formula that reduces blow-dry time and adds diamond shine. 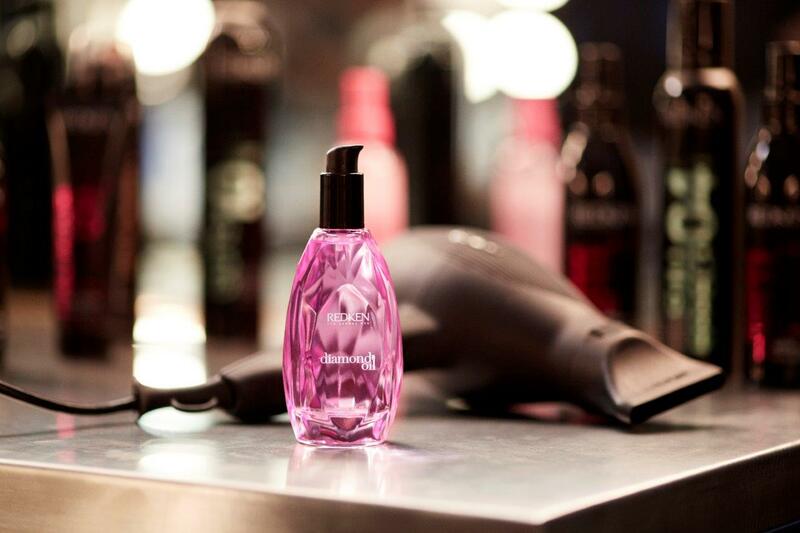 Developed with REDKEN’s innovative heat-responsive Silicone Technology, Diamond Oil Glow Dry reacts with heat to enhance the power of the Diamond Oil we all know and love. 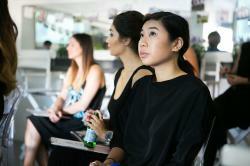 The result is style control, manageability and intense shine. Diamond Oil Glow Dry is suitable for all hair types and textures, even safe for colour-treated and chemically straightened hair. Infused with a fragrance that combines Rose, Mandarin, Vanilla Orchid and Musk, and housed in a multi-faceted bottle, Diamond Oil Glow Dry is a sensory delight. 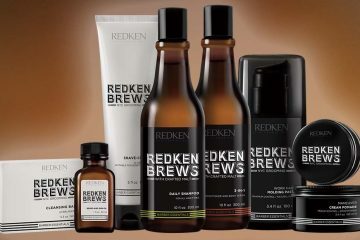 To locate your nearest REDKEN salon, please visit www.redken.com.au or phone 1300 138 803. While it should incorporated into our skincare routines all year round, in summer SPF is absolutely crucial. Sunscreens can be uncomfortable or cause congestion, so the easiest way to protect your face is by using makeup products containing SPF. Fortunately, mineral makeup experts Jane Iredale have got you covered this summer. Dream Tint CC Cream is your go-to base and can be worn alone or under foundation for more coverage. This oil-free tinted moisturiser provides SPF 15 protection and boron nitride, which creates a flawless finish by minimising the appearance of fine lines and pores. PurePressed Base Mineral Foundation SPF20 can be dusted over for more coverage. This multi-tasking product includes pine bark extract, vitamin E and algae extract, which hydrate the skin and combat free radicals, while titanium dioxide and zinc oxide protect your skin from harmful UV rays. It’s easy to forget about your lips, but jane iredale’s SPF 15 LipDrink Lip Balm makes it simple to both nourish and protect your lips. 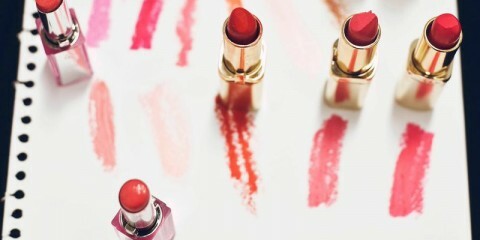 These lippies contain no petroleum-derived products, which are drying and chemical-based. Feeling like you’re not quite bikini ready? Start your body blitz with Germaine de Capuccini’s fabulous selection of slimming and firming products, which target that dreaded cellulite to get you looking and feeling your best. 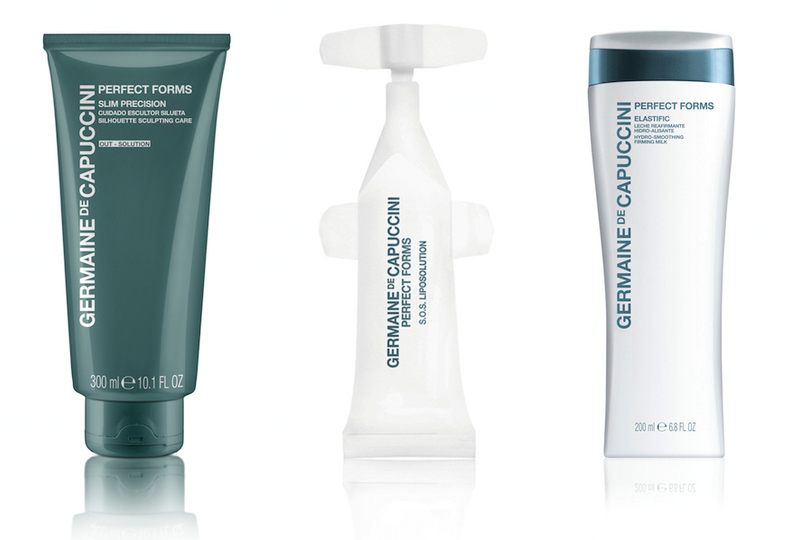 Slim, tone and tackle cellulite with Germaine de Capuccini’s professional treatments and products. The results speak for themselves: 97% of users believe they have obtained positive results, 77% have improved the appearance of ‘orange-peel skin’ and 85% have reduced their volume. The brand’s best-celling anti-cellulite treatment, this product combines medicinal plants with a rapidly penetrating formula to fight cellulite and create smoother, softer skin. This quick-fix cellulite treatment is completed over a course of just 15 days, harnessing grape and chrysanthemum extract to smooth and tone even the toughest areas of the skin. This hydro smoothing, firming milk restores the body’s firmness, density and supplies. Despite being rich and nourishing, the lightweight formula absorbs quickly into the skin, whilst also creating an imperceptible veil on the skin that helps to repel any signs of ageing. This in-salon treatment is generally combined with a facial to work on problem areas and beautify your face. Sea plants and marine algae reduce the fat contents in the skin’s fat cells and stimulate drainage, leaving your body soft and energised.